A San Diego jury convicted a Beverly Hills medical office manager of 51 felony counts of paying illegal kickbacks to a doctor for patient referrals and fraudulently billing insurance companies in the California workers’ compensation system, the District Attorney’s Office announced Friday. Gonzalo Paredes, 62, faces more than 43 years in state prison when he is sentenced Feb. 1. Jurors reached verdicts Thursday after a nine-day trial. The prosecution resulted from Operation Backlash, a large-scale, joint federal and state investigation into multimillion-dollar fraud and illegal kickbacks in the state workers’ compensation system. Paredes was the office administrator for Advanced Radiology of Beverly Hills, owned by radiologist Dr. Ronald Grusd, who was previously sentenced to 10 years in federal prison for his role in the scam. 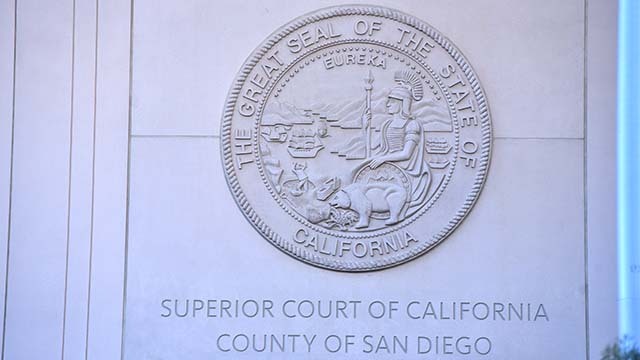 Earlier this year, Grusd was convicted of 39 federal fraud counts for paying kickbacks for patient referrals from multiple clinics in San Diego and Imperial counties, resulting in fraudulent bills to insurance companies of more than $22 million for medical services. In the scheme in San Diego, Advanced Radiology paid a local chiropractor money in exchange for the referral of patients, then billed several million dollars to insurance companies, prosecutors said. Paredes helped negotiate the kickback deals with the chiropractor and facilitated the kickback payments to the chiropractor and those working with him, according to prosecutors. The District Attorney’s Office partnered with the FBI, California Department of Insurance and the U.S. Attorney’s Office in the investigation and prosecution of Paredes.